SABREVOIS, JACQUES-CHARLES DE, soldier, captain in the colonial regular troops, commandant at Detroit and at Fort Chambly, town major of Montreal, knight of the order of Saint-Louis; b. c. 1667 at Garancière-en-Beauce, son of Henri de Sabrevois, Sieur de Sermonville, and of Gabrielle Martin; d. 1727 at Montreal. In 1682 Sabrevois received a commission as lieutenant on half-pay in the Régiment de La Fère. He seems to have come to New France in 1685, and there he received in 1687 an order from the king to occupy the post of lieutenant in an infantry company, replacing the Sieur Damours* de Chauffours. Recalled from Detroit, Sabrevois went to France to defend himself and to recruit “50 men in Paris” for the Canadian troops. 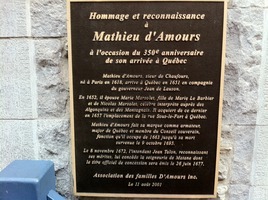 It was not until 1720 that he returned from France to occupy the post of commandant at Fort Chambly. 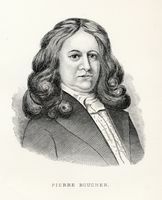 Vaudreuil, who judged him to be “very worn out and very grasping” – he added that he would not entrust to him “a post where there was trading to be done” – relieved him of his command in 1724, but was rebuked for this by the king. 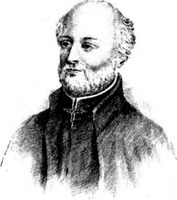 The following year Sabrevois was appointed town major at Montreal in succession to François LE Verrier. He died there on 19 Jan. 1727. He had been made a knight of the order of Saint-Louis in 1718. In 1695 Sabrevois had married Jeanne, daughter of Pierre Boucher, and six children were born of this marriage, three of them being sons: Charles, Sieur de Sabrevois; Christophe, Sieur de Sermonville; and Clément*, Sieur de Bleury; the first two took up a military career. AN, Col., B, 13, 23, 34, 35, 36, 40, 41, 42; C11A, 8, 15, 120. Coll. de manuscrits relatifis à la N.-F., III. “Correspondance de Vaudreuil,” APQ Rapport, 1942–43, 438; 1946–47, 418, 458. Fauteux, Les chevaliers de Saint-Louis. É.-Z. 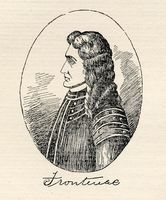 Massicotte, “Les commandants du Fort Chambly,” BRH, XXXI (1925), 456. P.-G. Roy, Les officiers d’état-major. E.-Z. Massicotte, “Les Sabrevois, Sabrevois de Sermonville et Sabrevois de Bleury,” BRH, XXXI (1925), 7–14; 40–42; 77–84. Nive Voisine, “SABREVOIS, JACQUES-CHARLES DE,” in Dictionary of Canadian Biography, vol. 2, University of Toronto/Université Laval, 2003–, accessed April 24, 2019, http://www.biographi.ca/en/bio/sabrevois_jacques_charles_de_2E.html.